no breakfast included ,the resort very quiet,the apartment was ok but being on 16th floor not so good if your nervous of hieghts! We loved the beach view and all the shops are nearby. Also the bus stop is neary by. Nice view from the window. Host was very helpful per e-mail, explained everything. 1 minute walk away Hyperdino grocery shop. Multiple choices where to eat (cheap). Down the street parking is possible, but it will take 2-3 Minutes walking. We like the apartment, it was small but perfect for 2. 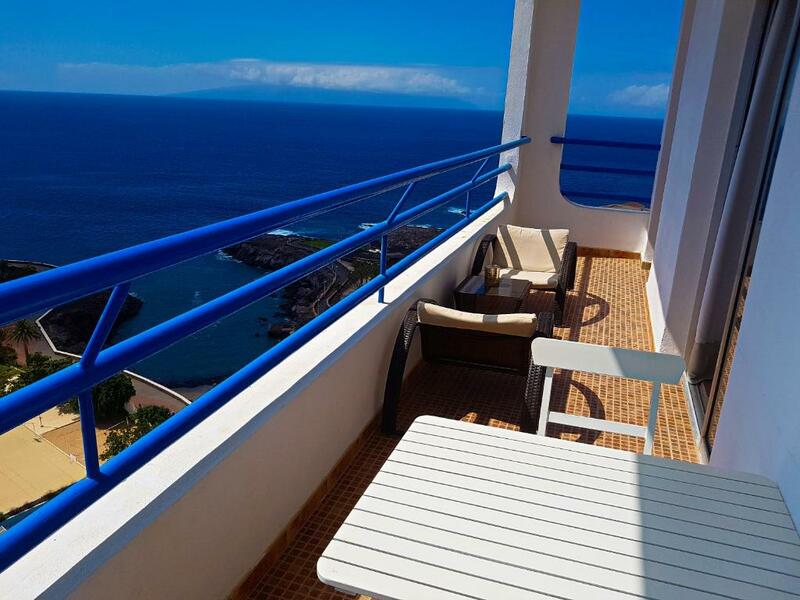 The balcony had a great sea view and got the sun later in the day and sunset view. The pool area was very nice. The beaches nearby were small and lovely for swimming in the sea. Everything. The area is perfect and the bus service was brilliant. We had everything we needed on the doorstep for shopping and eating out. I would definitely recommend this apartment. Petra is excellent and the apartment is fantastic. Loved the location. ideal location for families nice and quiet on a evening . The apartment was equipped with a washer hair dryer and a well equipped kitchen. The beds were very comfortable which I am glad because we stayed 14 nights . The view from the balcony was great and on an evening you had a brilliant sunset . 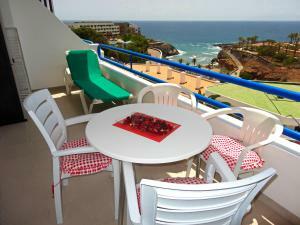 The apartment block was centrally situated in Playa Paraíso so every thing was a easy walk to. Decent appartment however way overpriced for the area.. only 2 pubs and a handful of resturants and shops. Never met the host however was really pleasant when called her. It would be good if we met the host on departure to comfirm that everything was clean and the way we left it was ok. There is a 60€ cleaning charge. This was to find the appartment clean on arrival, i feel the appartment shoyld be clean and shouldnt be charging extra for this. 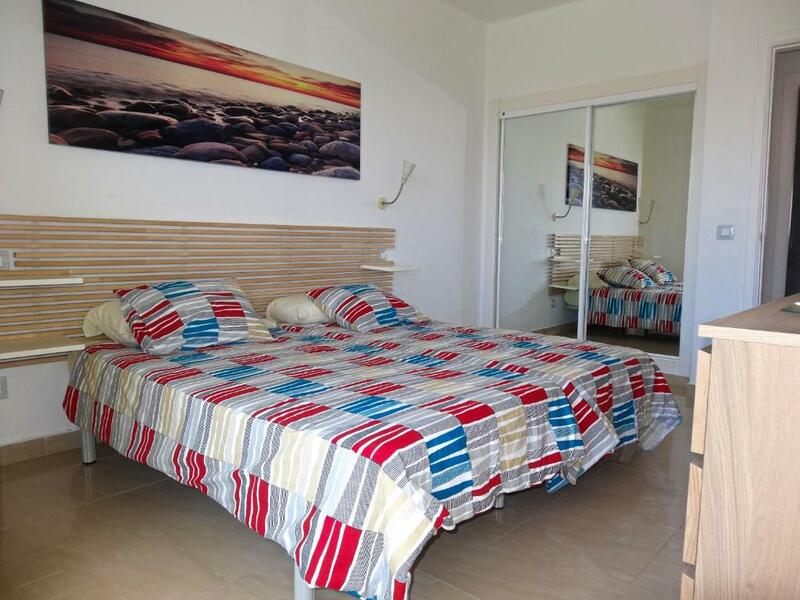 Comfortable beds, clean towels and bedding. Would have been nice to have the basics like cleaning stuff, hand soap and especially a basin to wash dishes in. Never saw a cockroach or any other beasties which was great. There are great bus routes into adeje, we did this most days as found playa paraisio boring. Pool area was massive and spotless, plenty of space and sunbeds however some quiet music would have been nice by the pool Nice small pub looking over the pool , we had a beer here 1.50€ in most places. Very cheap. The view was absolutely stunning. The apartment was so clean and the bed very comfy. Absolute bargain - we have had a great week. 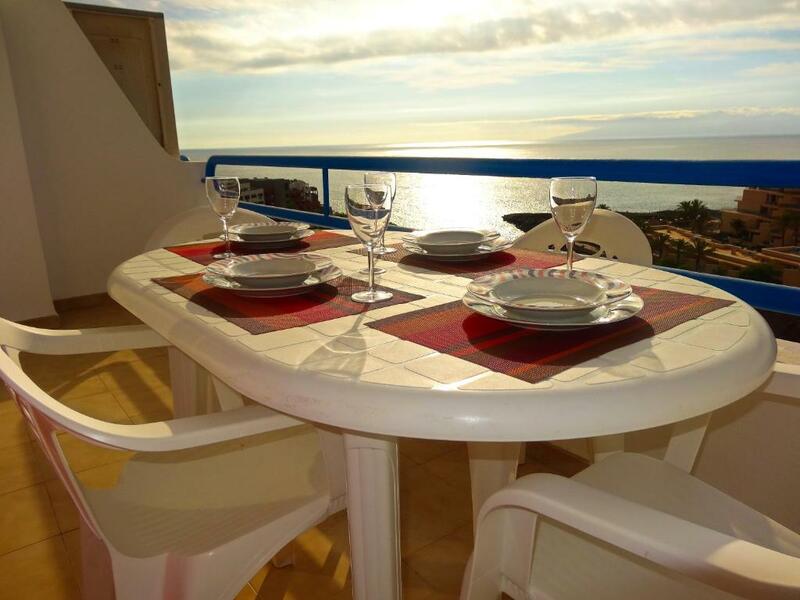 Lock in a great price for Apartments Paraíso del Sur – rated 8 by recent guests! Offering an outdoor pool and views of the ocean, Apartments Paraíso del Sur is set in Adeje in the Tenerife Region, 4.3 mi from Aqualand. Plaza del Duque Shopping Center is 3.1 mi from the property. Each apartment has a balcony and an equipped kitchen. A refrigerator and coffee machine are also provided. Towels and bed linen are offered. Apartments Paraíso del Sur also includes a year-round outdoor pool. La Pinta Beach is 3.7 mi from Apartments Paraíso del Sur. 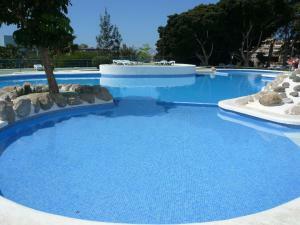 The nearest airport is Tenerife Sur Airport, 13 mi from the property. When would you like to stay at Apartments Paraíso del Sur? This apartment features a sofa, oven and balcony. 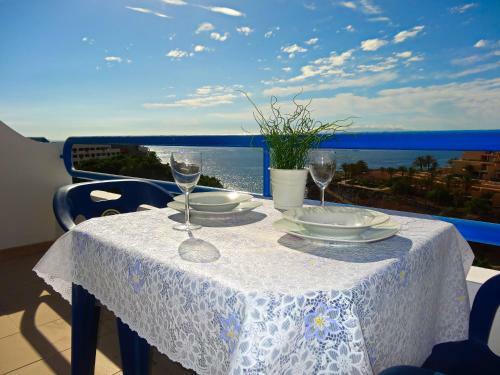 This apartment has a oven, private entrance and balcony. This studio features a sofa, tile/marble floor and balcony. This studio features a oven, sofa and balcony. This studio features a kitchenware, washing machine and oven. This studio has a kitchenware, balcony and oven. This studio features a toaster, kitchenette and washing machine. This apartment features a oven, balcony and tile/marble floor. This studio has a sofa, tile/marble floor and balcony. This studio has a oven, sofa and tile/marble floor. El complejo Paraíso del Sur está situado al lado del mar en Playa Paraíso. Ofrece una piscina al aire libre con hamacas gratuitas y piscina infantil. La playa con zona de baño se encuentra a escasas 100 metros del complejo. Cuenta con zona de Wifi gratuita en el hall de entrada. Todos los apartamentos tienen balcón. Cada apartamento está decorado de una forma diferente con mucho gusto y cuenta con cocina americana. Playa Paraíso es uno de los principales destinos turísticos del sur de Tenerife, situado a tan sólo 25 km del aeropuerto Reina Sofía. Cada año miles de turistas disfrutan de sus vacaciones en Playa Paraíso, atraídos por muchos motivos, entre lo que destacan un clima inmejorable, que convierte a esta zona en la que más días de sol disfruta al año en la isla, las preciosas calas que lo rodean, su paseo marítimo donde pasear tranquilamente y poder observar magníficas vistas a la Isla de La Gomera así como contemplar incomparables puestas de sol, las posibilidades que ofrece para disfrutar del deporte, destacando el magnífico campo de golf de Adeje situado justamente al lado, así como todo tipo de deportes acuáticos, principalmente el submarinismo con varias escuelas de buceo. También puede disfrutar de una amplia oferta de ocio, con numerosos restaurantes, comercios, etc., así como supermercado y farmacia. 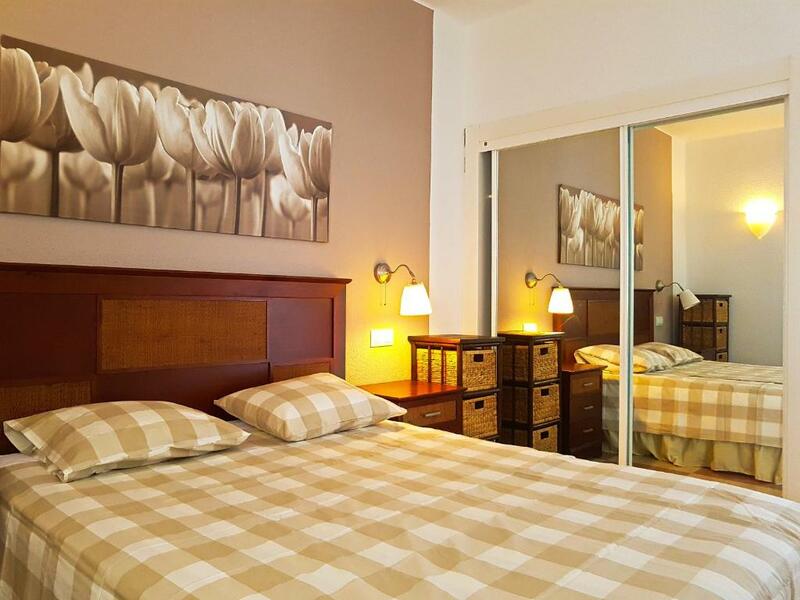 House Rules Apartments Paraíso del Sur takes special requests – add in the next step! 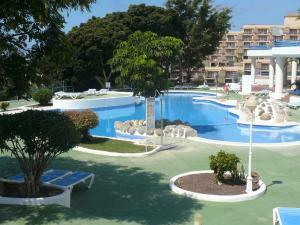 Apartments Paraíso del Sur accepts these cards and reserves the right to temporarily hold an amount prior to arrival. Please note that credit card (VISA) is only accepted for prepayment. Please inform Apartments Paraíso del Sur of your expected arrival time in advance. You can use the Special Requests box when booking, or contact the property directly using the contact details in your confirmation. Bathroom doors locked by themselves while nobody was inside, we call owner and she didn’t respond and we had manage it by ourselves. The appartment needs a refreshment. And it needs it now! Especially kitchen. All the kitchen appliances/tech were not usable - they were superold or broken. We even bought cooking pan to be able to cook at least something. And only 1 of the pot could be used there, which we used to boil water for coffee.. All other were damaged with teflon coating falling off. For bedroom we bought new bed sheet, because theirs was covered with white spots. Also towels we bought new (the ones in appartment looked clean, but we had anyway doubts). And also appartment need more light. The light bulbs were with very low intensivity. The apartment was lovely but without a car Playa Paraiso is quite out of the way. The local bus service is good cheap and frequent. The resort is a little small but we found enough places to go in the evenings. The shower in the apartment is OK but goes cold quite quickly so had short showers only. All in all a lovely holiday. There was nothing to dislike. The apartment was lovely and comfortable. oven never worked, being on the 16th floor the lifts were very slow ,had to travel to find entertainment and decent beaches! The bed is not comfortable it was small size. It's 140/200 but we expected 160/200. Utensils are not good and comfortable. Utensils looks old. A bad smell came out when we switched on the oven, my wife says its a piss smell. Couch, tv, and sofa are old, they are not comfortable. The flees are old and not clean, there is a bad smell in them. Big trouble is with cleaning equipments, they are not with good quality. I am frustrated to clean with them. I suggest to provide a vaccum cleaner and a good quality mop. LIft is very suffocating, I cannot stay in it for more than 3 minutes. Great location, we loved the panorama!! There was nothing that comes to mind . That water for a shower and washing dishes stayed hot for 1 minute but not roasting.. definetely not good enough as it was a cold shower everyday. Way over priced compared to centre of adeje, A front facing appartment would have been a bit better as it gets the su no reception staff. We were in apprtment 114. No sun on balcony, only 2 cups in appartment so had to wash each tume we wanted a coffee. Overall disapointed . Not for us. No poolbar apart from a cafe outside appartments which we only got a beer from.